Supplement companies never run out of ideas about how to make the next big thing in supplements. That’s why we always see reboots of formulas, just repackaged and sold, with the new product having a striking resemblance to the new product, with a few new additions, and a slightly higher price tag. One of the products that has had a successful reboot is Beast Sports’ Creature Creatine supplement. Prior to the release of the all-new Creature, Beast Sports was just another supplement brand, without anything special to offer. 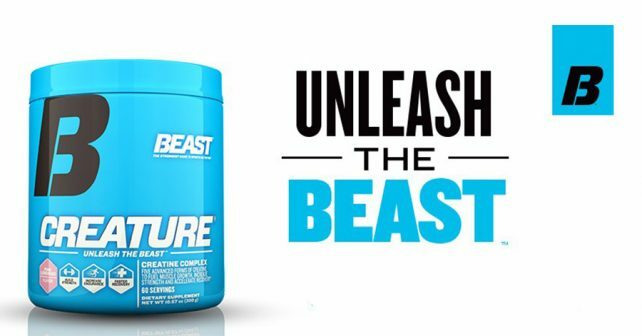 Two years after the release of Creature, Beast Sports was suddenly one of the best-selling supplement brands. Beast Sports Creature is definitely their brand’s flagship, and many customers are now regular repeat buyers of Creature. The real question is – is it really effective? Any form of exercise, whether it is for endurance or intensity, takes up a good amount of your muscle’s stored energy. Once it is depleted, you get tired, and you rest. The benefit of using creatine is to fill your muscles with stored energy so you can do longer, more intense workouts. Who uses Beast Sports Creature? Creatine supplements are more common nowadays. Even recreational athletes and bodybuilders take creatine supplements to boost their workout performance. Beast Sports Creature can be used by anyone. Beast Sports Creature is offered at more affordable options if you purchase their other muscle-building products. The older, obsolete version of Beast Sports Creature had four different types of Creatine, and it only had about a total of 2.5 grams of creatine. The new beefed-up version of Beast Sports Creature has 3 grams of creatine, with 5 different types of creatine. Beast Sports Creature also contains Cinnulin PF, which is a kind of cinnamon, and acts like insulin in your body to help metabolize sugar. It also contains AstraGin to help your body absorb nutrients better. Beast Sports Creature is priced aptly at just $0.50 per serving. The manufacturer suggests that you take Beast Sports Creature 30 minutes before workouts, and 30 minutes after working out, which brings the total day cost to about $1. Beast Sports Creature is indeed affordable and an effective source of creatine. If you’re looking for the best creatine powder, then look no further. There are many types of Creatine in the market, and nothing is as complex as Beast Sports Creature. However, muscle growth cannot be supplied by creatine alone. In fact, it doesn’t help build muscles; it simply gives your muscles the fuel it needs. If you’re looking to build muscles fast, take Beast Sports Creature with NitroGenix 365. NitroGenix 365 is the best supplement for muscle growth, and supports muscle strength, recovery, and development. Check it out.